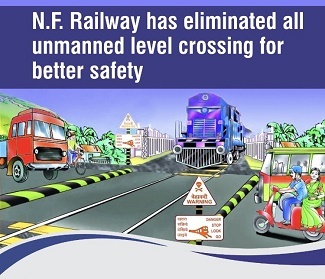 North Frontier Railway has become ZERO Unmanned Level Crossing Zone. Last of the 155 unmanned level crossing eliminated yesterday. A milestone towards enhancing passenger safety. Other zones of Indian Railways will follow.